Saint Kateri Tekakwitha, inspire and walk with us. Today is the feast day of Saint Kateri Tekakwitha (1656 – April 17, 1680), who was canonized in 2012 by Pope Benedict XVI. To celebrate this feast day, Sr. Kateri Mitchell reflects on the witness of Saint Kateri, who continues to inspire people around the world to respond to Christ’s call to conversion. Saint Kateri Tekakwitha is a true witness and model of one who followed in Jesus’ footsteps during her life on Mother Earth. St. Kateri’s prayerful life exemplifies her close relationship with her Creator God. This young Mohawk–Algonquin girl, named Sunshine by her father, was orphaned at the age of four after losing both parents and her younger brother to the smallpox epidemic that swept through the Mohawk village which today is called the Mohawk Valley, along the Mohawk River, in central New York State. Even as a very young girl, she was quite different from the others her age—some of it due to the exterior scars on her face from the smallpox, but interiorly, she seemed to have different values from those girls her age and older. Already deep within her being, she seemed to be searching for more. Tekakwitha was definitely not a follower just to “fit in” with the other members in the village. She faithfully performed her household duties and all other chores that were expected of her by her aunt and uncle’s request. She seemed to appreciate any free time to be alone, to walk outdoors and enjoy nature. There was an inner call to something more. In her daily journey, she was ridiculed and physically threatened, but never retaliated in any way. Though she did not have the knowledge to express it in words, Tekakwitha was living a Christian way of life. She was actually already carrying the cross and following in Christ’s footsteps—which she would understand only later on. With poor vision, Tekakwitha had an inner vision beyond what human eyes could see. She had an interior beauty that seemed to be expressed by the way she lived in her village. She was quiet, serene, hard-working, kind, thoughtful, and as we would say today, “contemplative.” She was living an interior life that set her apart from others, exemplifying her strength, courage and determination. With these qualities, her spirituality was being woven. It included deep encounters with her Creator through her prayer life, respect for her people despite disrespect toward her, and a commitment to work hard. Later in her teen years, the Blackrobes [Jesuit priests] came to the Mohawk village and Tekakwitha was the only one drawn to them. She wanted to know more about who they were and why they were in the village even though they were not welcomed. It was at this time that she began to find out more about God. The presence of the Blackrobes seemed to be for Tekakwitha what she had been searching for in her life of solitude. When she had the opportunity to meet with the Jesuit missionaries, they found her to be a person of prayer with a desire to know God on a deeper level. At age twenty, she asked for baptism. It was at that time that a Jesuit baptized her and gave her the name Catherine (Kateri [gah deh lee] in Mohawk). From that time to the present, she was known as Kateri Tekakwitha. Each new name given to this young woman led her on a spiritual journey to encounter the Christ who suffered and was ridiculed and rejected by his own people. The new Christian, Kateri Tekakwitha learned that to follow Christ is to carry the cross and remain focused on Christ Jesus for strength, faith, trust and hope for her people. The Universal Church raised this young 24 year old of the mid-seventeenth century to the altars of the Church in October 2012. She is teaching us today, as a true native elder, that we, too, can follow an inner call leading us to the unknown. With faith, trust and love, Christ Jesus will lead us to fulfill dreams and achieve goals that will make us more human and Christ-like, like himself. 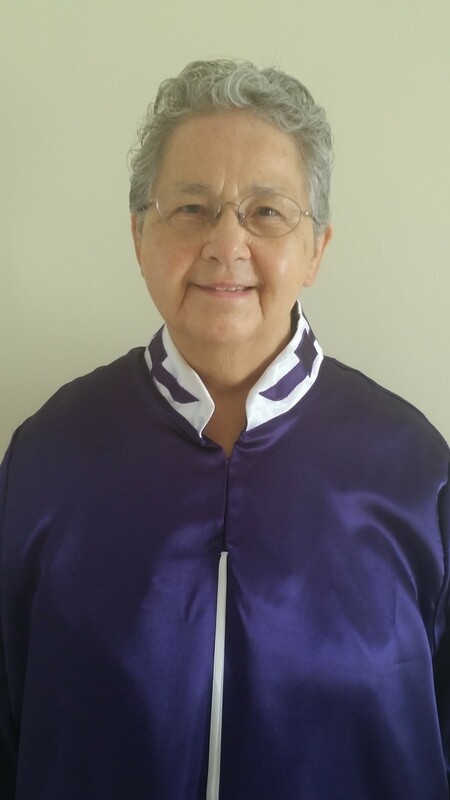 Sr. Kateri Mitchell, SSA, Mohawk Nation Turtle Clan, is the executive director of the Kateri Tekakwitha Conference. The United States Conference of Catholic Bishops works to address the pastoral concerns of Native Americans in the United States, and to affirm their gifts and contributions, through its Subcommittee on Native American Affairs. Learn more here.